A Wild Safari Prehistoric World Malawisaurus dinosaur model. A fantastic model of African Dinosaur Malawisaurus by Safari Ltd.
An amazing, hand-painted model of the dinosaur called Malawisaurus. A Wild Safari Prehistoric World Malawisaurus dinosaur model. Length 36 cm approx. Height 10 cm approx. 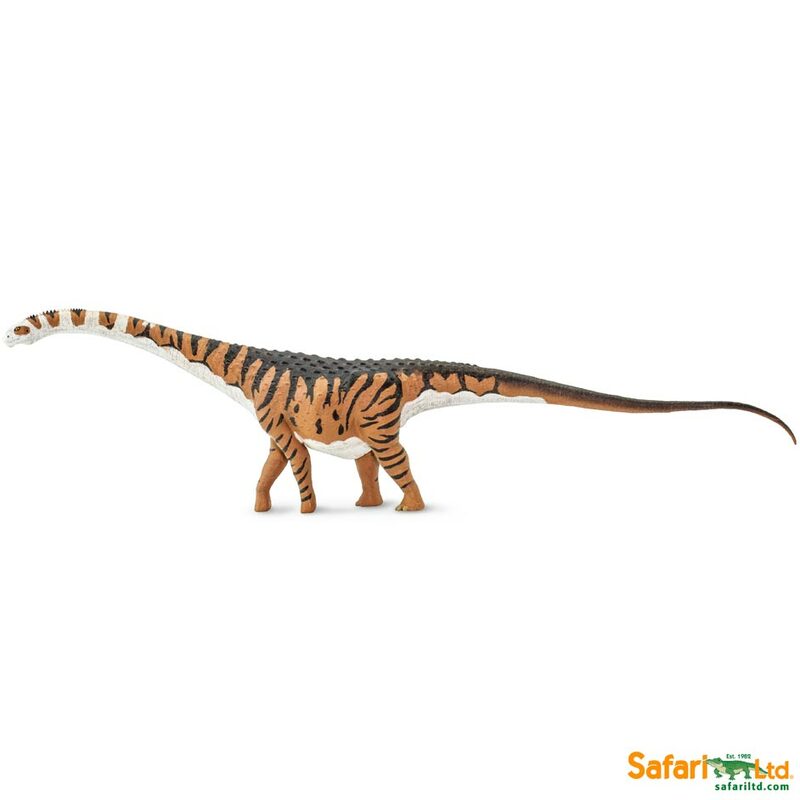 For me, this is the stand-out model of the Wild Safari 2018 models in a very strong set of releases. The attention to detail in both the sculpt and the application of paint is excellent. I love the sober but far from dull colour scheme. 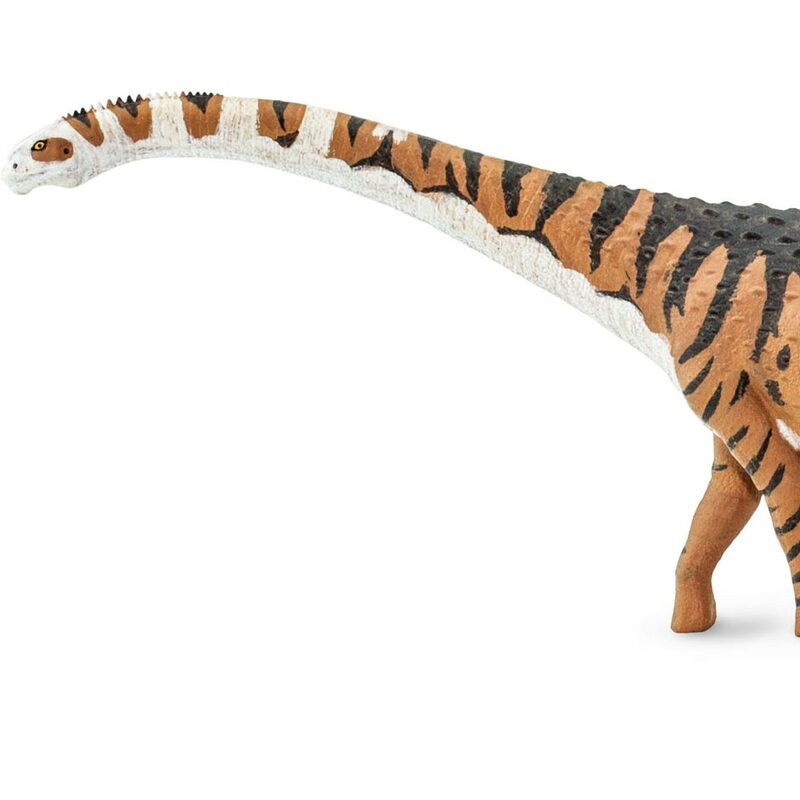 It seems to me a palaeontologically accurate model too, with correct titanosaur feet, osteoderms and the blunt snout known from the surviving skull bones of Malawisaurus. I’m also thrilled that this sauropod has a bulging, capacious gut that admirably suggests lots of space for digesting tough plant material. It also has the wide-gauge stance you expect in a titanosaur. All in all, a fabulous model, with a satisfying heft when you pick it up. It’s not merely an accurate model – it is also a thing of beauty and will be a gem among my little collection of sauropods. And it’s always pleasing when a firm produces models of dinosaurs less well known to the public. I like adding a new name to my collection!